TUCSON, AZ – The Tucson Roadrunners, American Hockey League affiliate of the Arizona Coyotes, are proud to partner with KVOA News 4 Tucson for the “Tucson Roadrunners Player of the Week”. 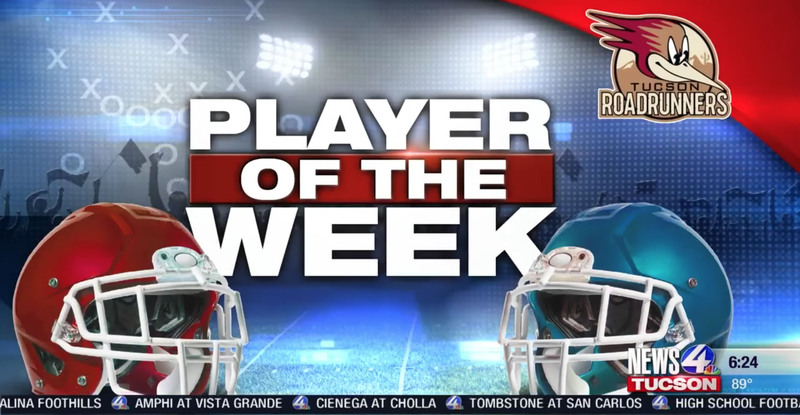 The award, selected by KVOA News 4 Tucson Sports, will be presented to a local high school athlete on a weekly basis, recognizing their outstanding performances. Athletes will be recognized on KVOA News 4 Tucson telecasts by Sports Director Paul Cicala each Tuesday at 6 p.m., as well as honored at a Roadrunners home game and invited on the game’s radio broadcast with Adrian Denny, voice of the Roadrunners.